Visit the KIITEE official website and click on Admit Card link. Enter Application number and click on submit. Download and take a printout of the Admit card for further reference. Scroll Down to Complete Slot Booking For KIITEE 2019. No student will be allowed to appear for KIITEE 2019 without the Admit Card issued by KIIT. The candidate needs to carry any Photo ID along with the Admit Card which will be later verified by the KIITEE officials at the Exam Centres. If the candidate is not able to find the Admit Card on the KIITEE website then the candidate should approach the institution before the prior date. 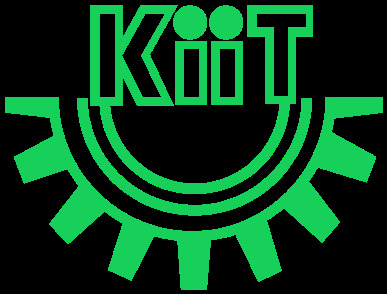 Candidates have to visit the official website of KIITEE. KIITEE 2019 User Id No./ Registration No. In case of any discrepancy in the Admit Card candidates should contact the admission director to resolve their problem. Will the KIITEE admit card be sent to us by post? Candidates can download the KIITEE admit card from the Official website(www.kiitee.ac.in) of the University. Should I carry any identity proof to the KIITEE exam? Yes, the candidates should carry a photo identity proof along with their KIITEE admit card to the KIITEE 2017 examination. Will I be allowed to write the KIITEE 2017 exam without an admit card? No. The candidates have to bring the admit card to the exam. If they do not bring the admit card then they will not be allowed to write the KIITEE 2017 exam as the admit card is a mandatory document. What are the contents of KIITEE examination admit card? I wanted to know what are the instructions that I would be given prior to writing the exam? Log on to the official website of KIITEE for details pertaining to your admit card. Enter your application number to find your respective admit card. What are the guidelines to download admit card? Download and Print the Admit Card. Download and Print the Admit Card for KIITEE 2017. What should a candidate do if he is not able to get his admit card? The institute will provide the KIITEE admit card. Admit card is necessary for writing the examination.